After boarding Aqua-Jet’s boat at Sea Isle Marina, you will get a ride on Miami's Bay. Once we arrive at our location on the bay, we will teach you how to safely fly on your jetpack and you'll hop into the water to begin your session! 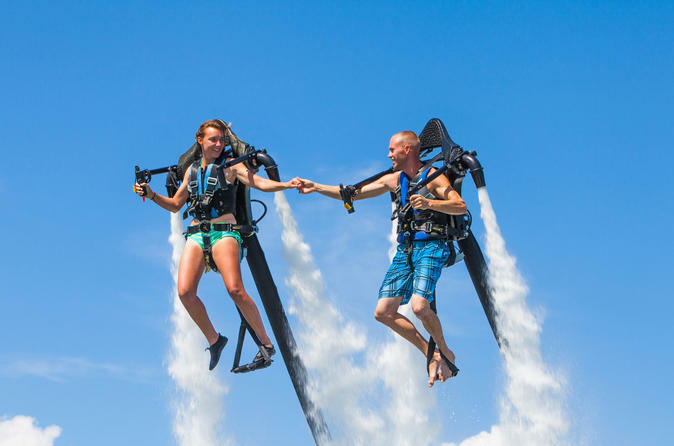 Swoop through the air and splash through the sea with a jetpack session with Aquajet Miami. The certified pilots and instructors will take you to the water on a sport boat and show you the ropes, so you can get right to flying over Miami bay.